Container technologies are a beautiful thing. Creating a single platform to deploy applications on any cloud, public or private, and then orchestrating how and where they run is the ultimate in scalability, flexibility, portability — all the container-bilities. And Kubernetes is quickly becoming the industry-standard container orchestrator; a recent survey of more than 200 companies showed that 71 percent of respondents indicate that K8s is their system of choice for automated container deployment, scaling, and management. Google Cloud led the way in offering managed Kubernetes hosting, and other cloud vendors quickly followed. 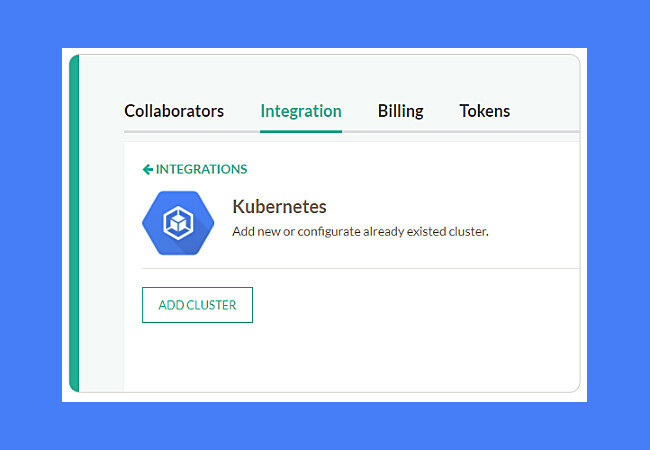 The new integration streamlines the development experience by combining the container creation and test process with an easier way to deploy containers on Kubernetes. New users can easily start deploying on Kubernetes without compromising on access to powerful features, and the automated pipeline can speed up development and reduce bugs for any Kubernetes citizen. On August 30th, Codefresh and Google will be co-hosting a webinar to showcase the new process and integration. William Denniss, product manager for Google Container Engine, and Dan Garfield, an engineer at Codefresh, will explain how to speed up development velocity with a Kubernetes pipeline using the new integration. Registration is required; click the above link to sign up. Setting up your first Kubernetes cluster. A full guide to deploying your first application. Automating deployment to Google Container Engine (GKE). 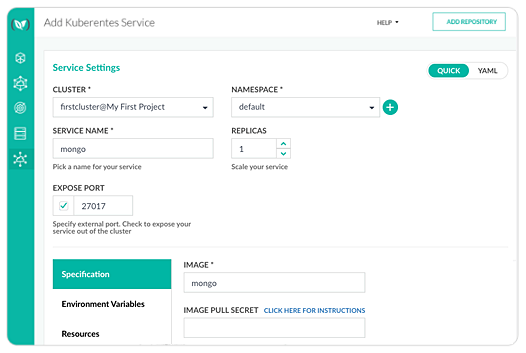 Image tagging strategies for high-quality control in Docker Registries. 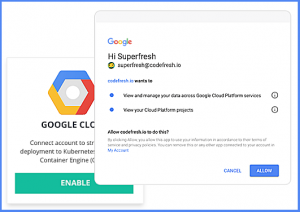 Previously, Google Cloud and Codefresh have collaborated to integrate the Google Container Registry into Codefresh’s platform in order to provide a Docker registry for developers to work with directly from their CI/CD flow.